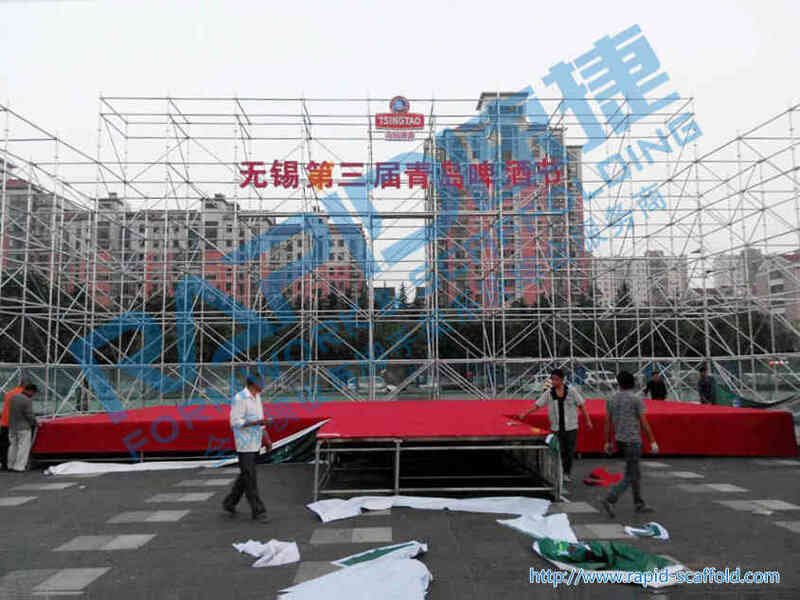 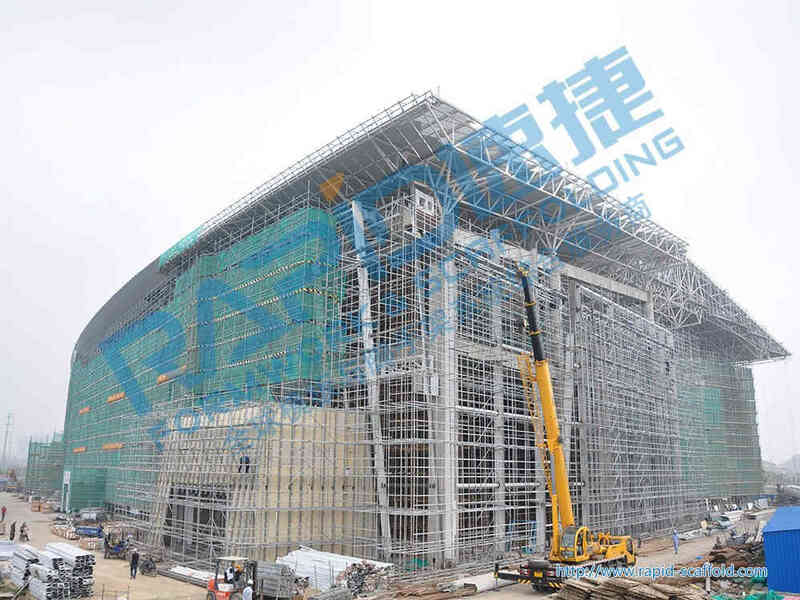 Ma’anshan exhibition center stadium occupies building area 61218 square meters, with two layers and 26.4m high (the height of center line of the upper chord of eave ). 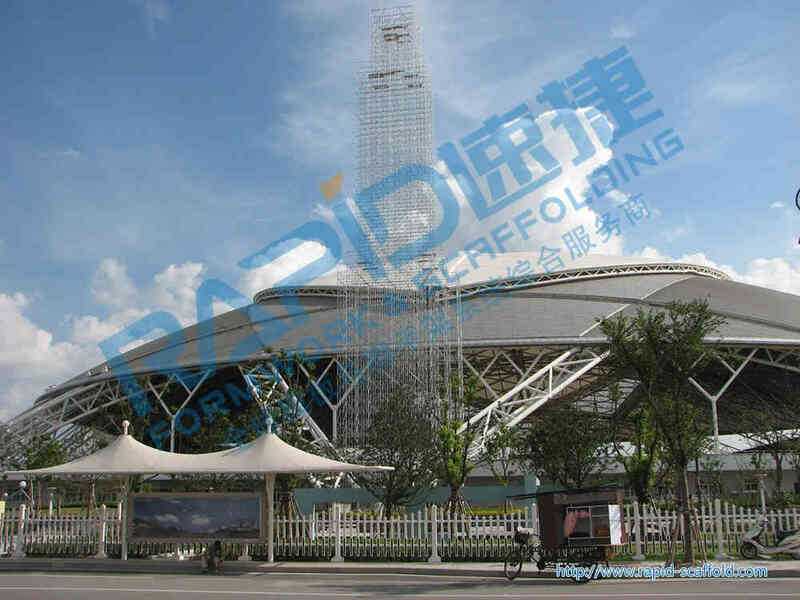 The upper part of roof steel structure is used the space structure system from primary truss to secondary trusses. 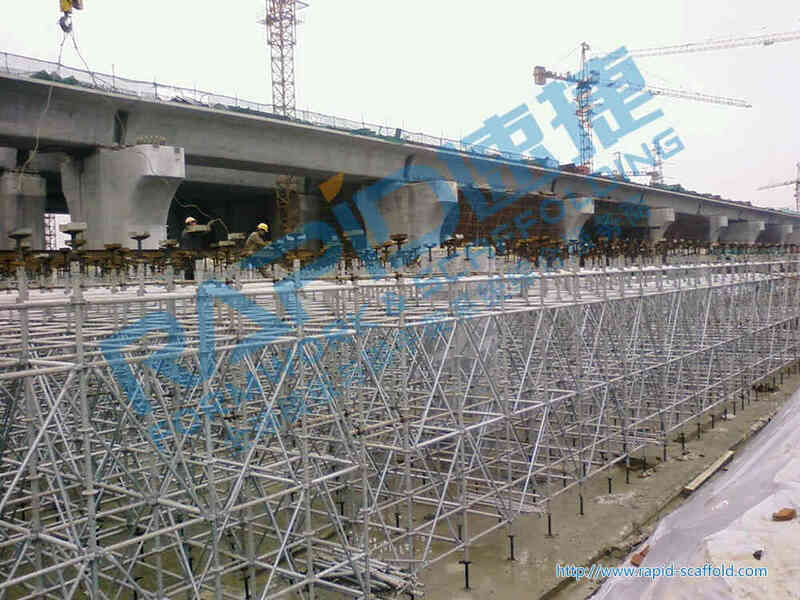 The maximum span of the primary truss is 54m, with maximum cantilever length 17m. 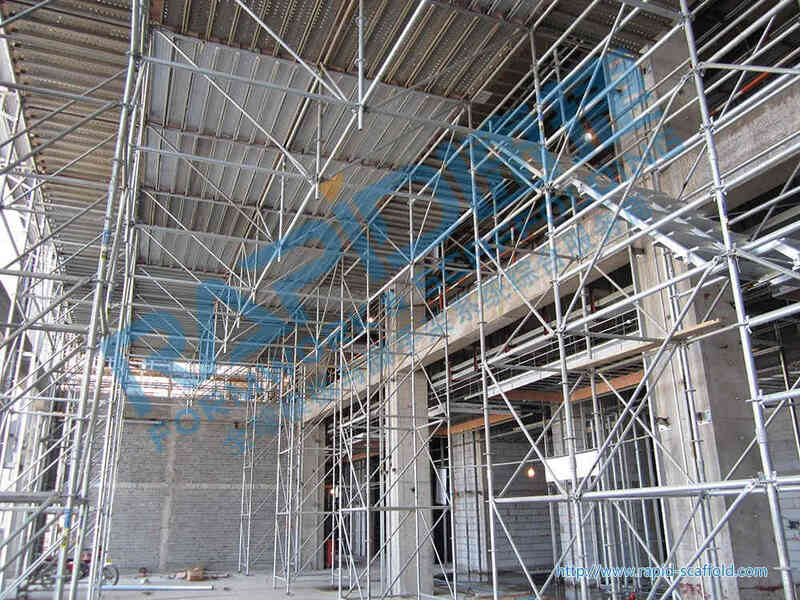 Under roof structure is reinforced concrete frame shear wall system. 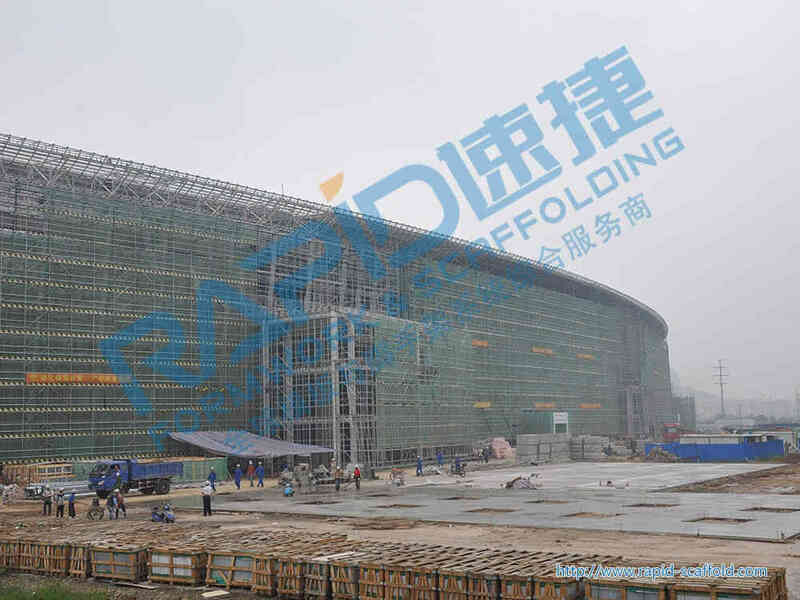 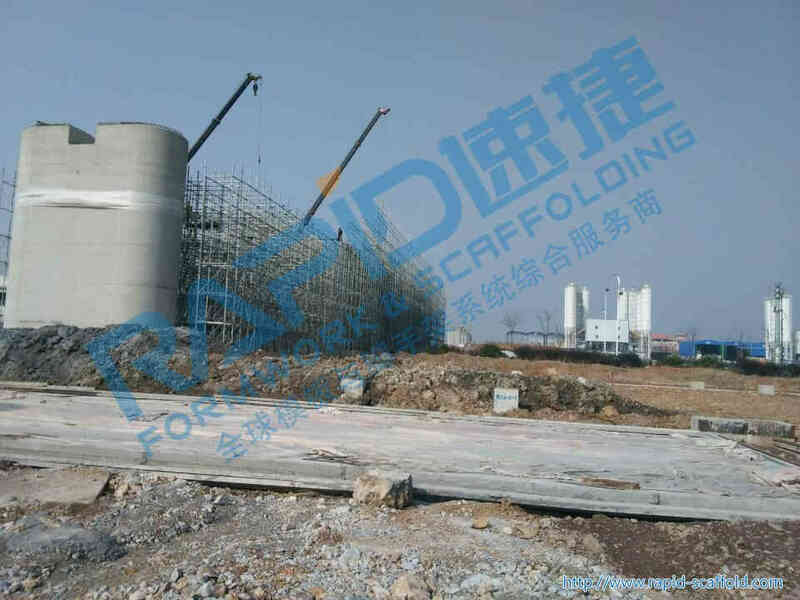 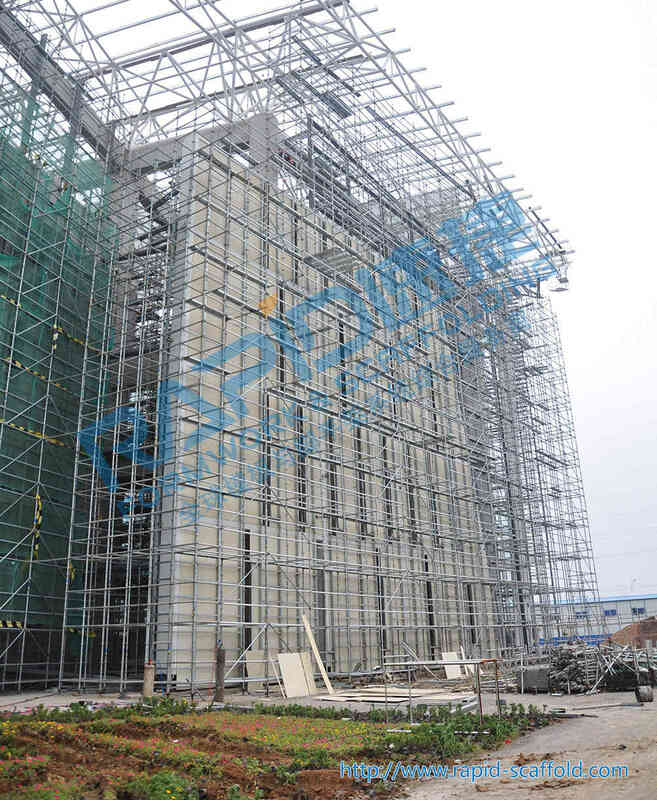 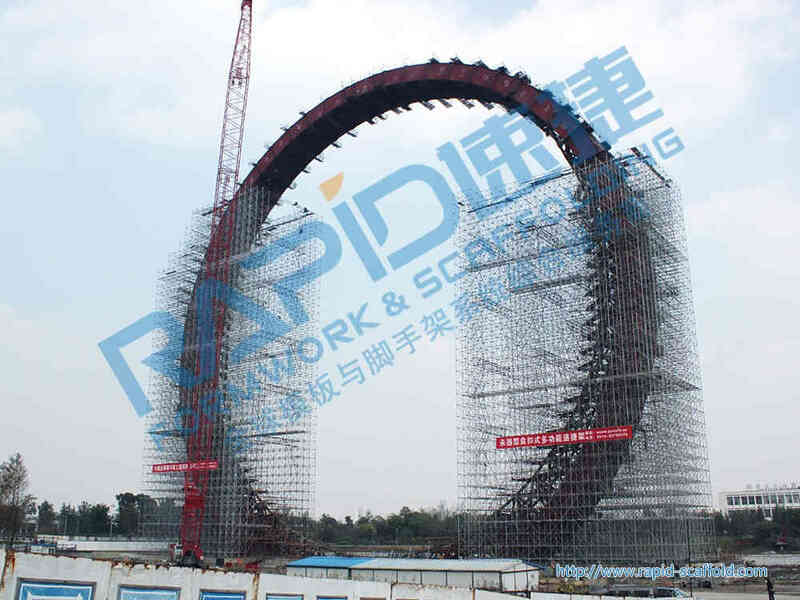 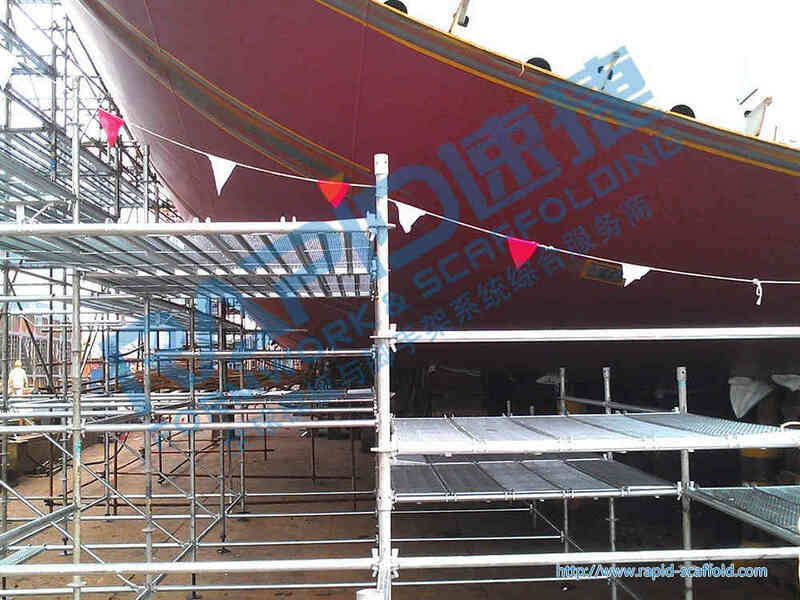 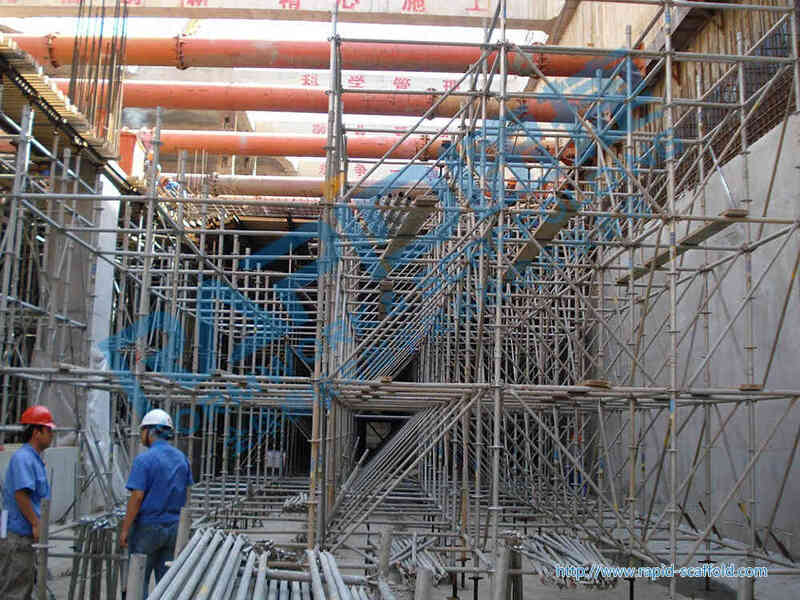 Rapid scaffolding, with the stability of frame body and convenience of erection and removal, has won the praise from safety bureau, ower, supervision unit and project department.